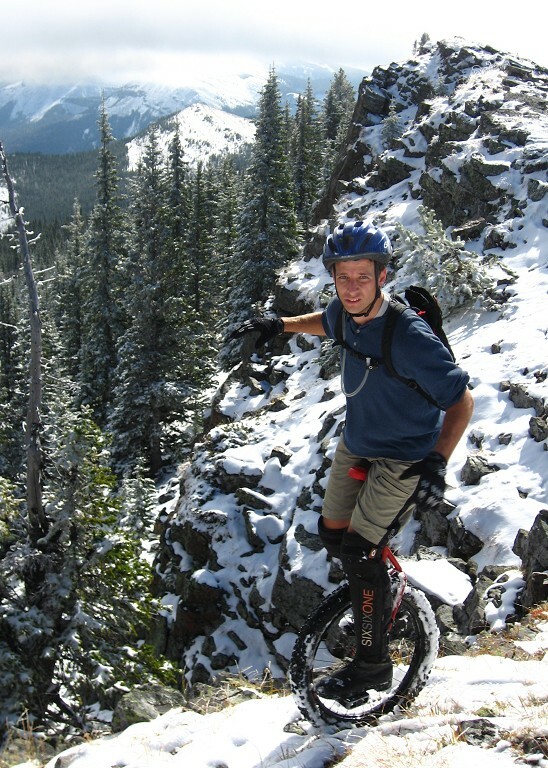 I get a lot of questions from people who have seen my profile online about mountain unicycling and ask what that is all about. 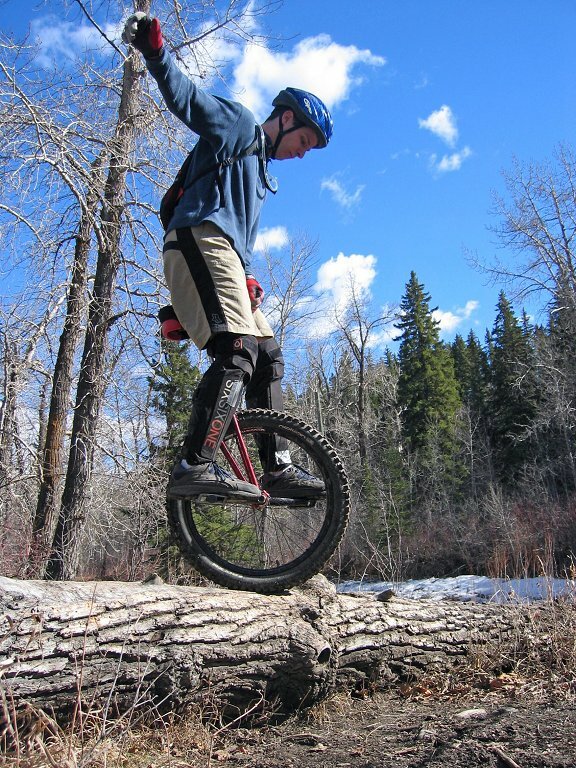 So, I thought I’d talk a bit about what mountain unicycling is and what it means to me as well as some pictures and additional links about the sport. 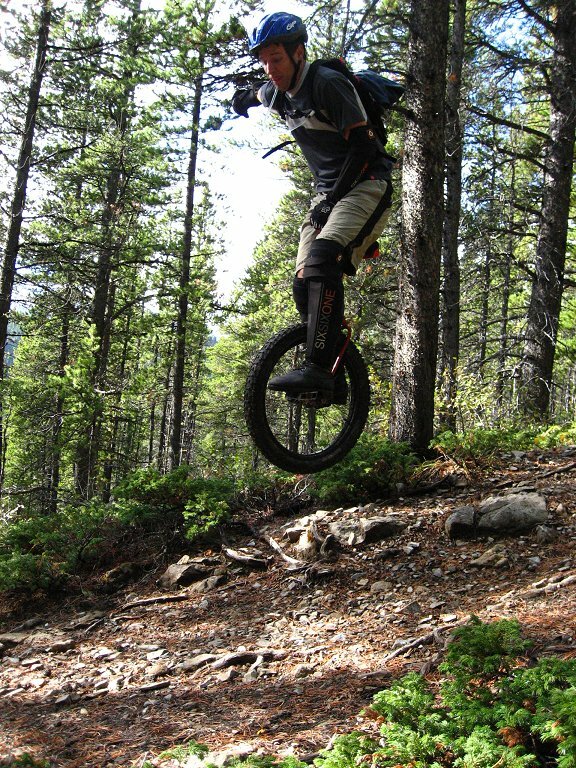 So, I started a club for mountain unicycling in Calgary a few years ago, have met a lot of great people and unicyclists through it and I continue to get out on one wheel to do more riding in the wilderness. You can find out lots more about unicycling from any search engine or my club site and I’d be happen to answer any questions as well. 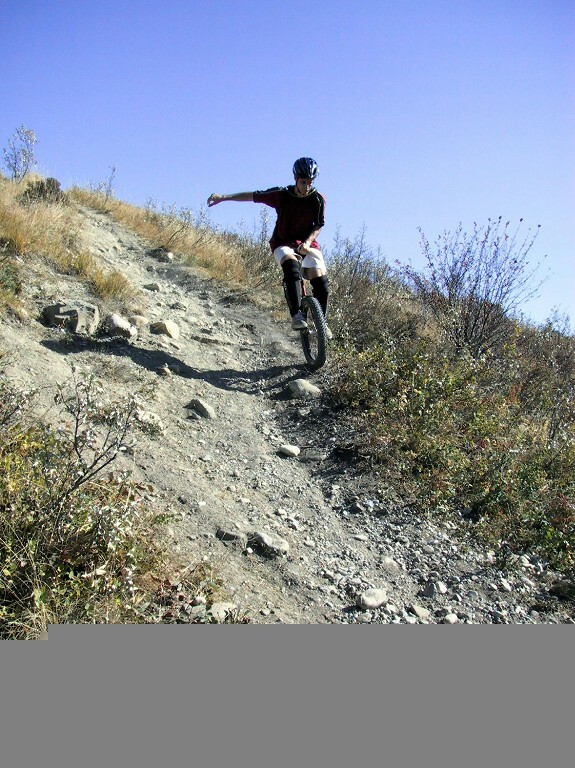 You can see some pictures from over the years where I’ve been mountain unicycling and some of the gorgeous surroundings and terrain in the slideshow below. Prev: The story of stuff. Mike, I meant to comment on the 6 random things post, then I got really intrigued about your unicycling and had to see what it was about. I HAD to digg this one too! 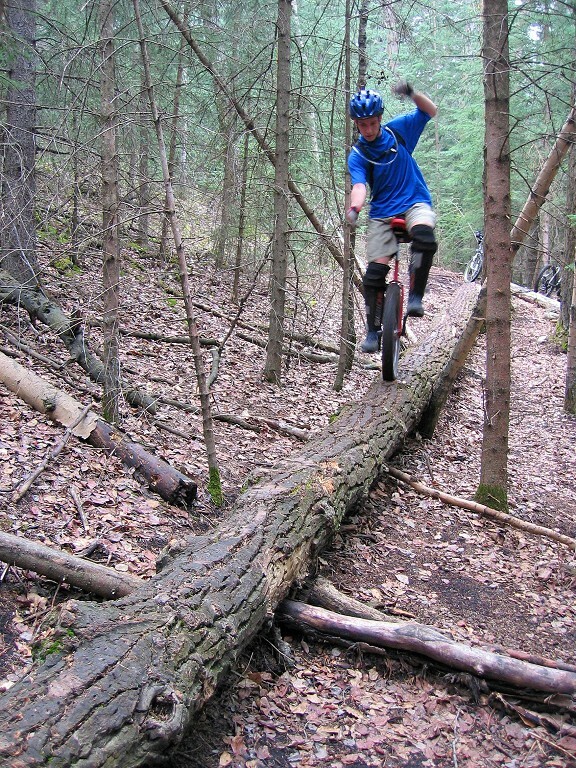 I can hardly imagine the feeling of cycling down a steep slope with no breaks. It must give such a sense of freedom, of being able to master the elements. Palma, yes this is exactly one of the great feelings aobut mountain unicycling. Freedom to do it and ride where many don’t dare to walk. It’s true that it is a great feeling, both freedom and exhilaration! I plan to make a few articles sometime about how it is a product of my own motivations really how I got into unicycling. It continues to drive that internal motivation even today, many years later after learning!! 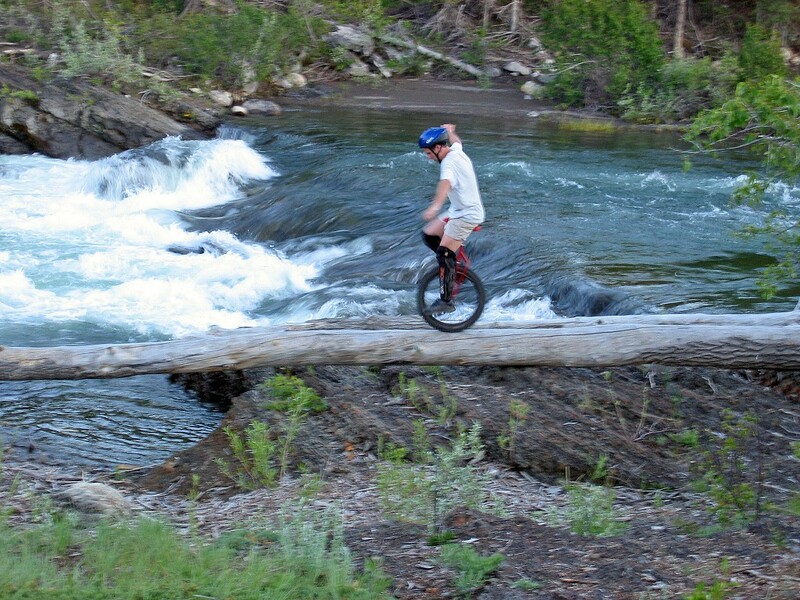 Unicycling is awesome, I begun some months ago, and have been up in the mountains (though only on paths and roads) unicycling this week. Great feeling. It’s always nice to read about other people who do unicycling.